Twenty-five years ago, serial killer Paul Denyer terrorised the bayside suburb of Frankston. Twenty-five years later, the trauma of his seven-week killing spree still haunts the community. The spate of murders in 1993 touched many more lives than just the three victims. All of Melbourne was gripped with fear, as Frankston and surrounding suburbs were flooded with police hunting the serial killer of three young women. It began on June 11 when Elizabeth Stevens was murdered on her way home from the library. On July 8, Debbie Fream who'd left her 12-day-old baby with a friend while she dashed out for milk, was abducted and killed. Three weeks later, Year 12 student, Natalie Russell, was brutally murdered on her way home from school. When Paul Denyer, an odd young man, was arrested the day after Natalie's body was found, the police and public were shocked by his lack of emotion. Denyer, who was only 21-years-old, spoke of the three young women with contempt as he described their final moments. Their deaths had simply fuelled his bloodlust. Eleven years later, just as the public's memory of the Frankston murders began to fade, convicted serial killer, Paul Denyer, made front-page news with his quest to become a woman. 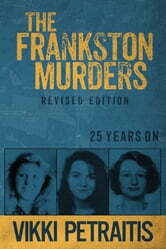 The Frankston Murders: 25 years on details the shocking crimes and explores the lingering effects of what Denyer did. Now 25-years-old,Debbie Fream's son Jake speaks for the first time about the loss of his mother. And Carmel and Brian Russell share their dream for Denyer's ongoing incarceration, as the killer of their child will be eligible to apply for parole for the first time in 2023.